There can be some nice, easy energy with us today as the Moon in Capricorn connects well with Venus and Mars in imaginative Pisces. We can add some creative zip and imagination to your endeavors now. However, an impending Jupiter-Chiron quincunx, an influence that first formed in September 2014, can magnify some doubts and concerns about our plans, goals, or beliefs. The Moon is in Capricorn until 7:13 PM. The Moon is void from 3:16 PM to 7:13 PM. 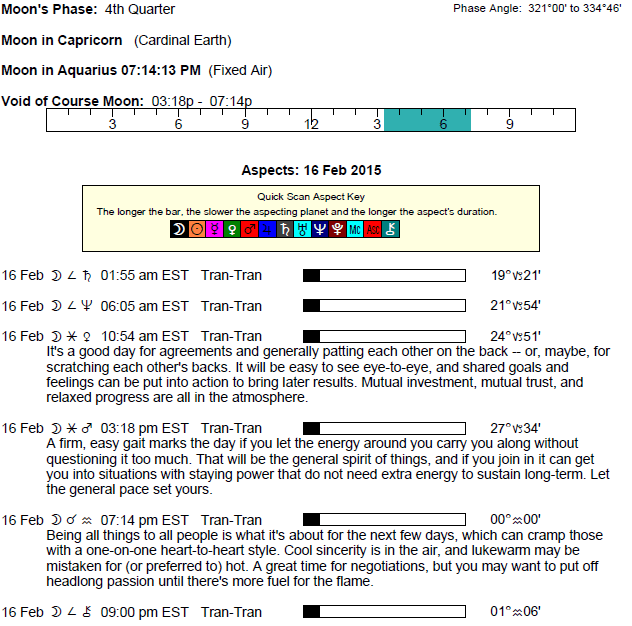 The Moon is in Aquarius from 7:13 PM forward (until Wednesday, February 18th at 6:47 PM). The Moon is in its Waning Crescent phase. There is a continuing desire to improve these days, dear Aries, with a Jupiter-Uranus trine that first came exact in September and approaching once again. However, a problem can be presented now – a hurdle, of sorts, with Jupiter quincunx Chiron. This likely revolves around the past or your own guilty feelings about enjoying yourself and moving forward in your love life. Do what you can to build your faith in your creativity and likability, and make peace with the past. This will free you up to take better advantage of opportunities in these areas. Some of your ideas now might be considered at best, unusual, and at worst, completely off the wall. Avoid focusing on what is not working in your life, or trying too hard to reach a definite conclusion today. Today is strong for drawing on past work or resources and using them to further your ambitions in the present. There can be frustrations with friends and family this week, as they may not be mixing well, dear Taurus, or there can be a dilemma in which you don’t know where to put your attention. Decision making is difficult and you can feel quite drained. Adjustments and sacrifices are in order, but dealing with these now can help to free you up for real opportunities revolving around your home, family, and personal life in the coming weeks. You could be questioning a friend or group, altering your beliefs due to new experiences, or revising long-term goals. Today’s Capricorn Moon (until the evening) is easy on you, helping you to see your life from a broader perspective, after which you are more likely to think about your responsibilities. With Jupiter quincunx Chiron, this week you may need to deal with past mistakes that surface and need attention, dear Gemini. If you’ve been taking on too many new interests, you’ll feel the immediate need to tone things down. There can be information overload, or new information comes up that challenges a previous belief or your optimistic outlook. Find ways to straighten things out now, and to alleviate stress, as a very pleasant aspect comes exact again in early March (first exact in September) can bring opportunities in terms of work and learning, and you’ll want to let go of attitudes and projects that are not serving you well. Even though there can be uncertainty hanging over your days, today can be very good for sorting out details and work around the home. The day is good for self-expression, love, and partnering, dear Cancer. Your heart is with your relationships right now. With Jupiter quincunx Chiron, there may be an event or new information this week that can cause you to question a belief, goal, or even a person. Large purchases made now may be regretted later, as you are not seeing things as clearly as you usually do. Consider what’s best for you in a big-picture sense. If you don’t have the answers right now, have faith that you may not need them at the moment. Brush up on skills and get your affairs into order so that you can better take advantage of career and business opportunities in the coming weeks. Jupiter in your sign tends to put you in the spotlight in a very pleasant way, dear Leo, but when it forms difficult aspects, there can be some downsides. This week, Jupiter is in awkward angle to Chiron, and you could feel that you have less answers than you did before. It’s a brief time of doubting or questioning where you’re headed, your current path, or your alliances, and for some, a moral dilemma can be part of the picture. Simplifying, organizing, and eliminating excess can be helpful if you’re feeling uncertain. Allow time to process, and look for ways to make adjustments so that you can fully enjoy Jupiter’s trine to Uranus that comes exact again in early March (since September). Today, good energy is with you for creative research and work. Today is good for relating in creative, dynamic ways, dear Virgo. However, with a Jupiter-Chiron quincunx active this week, there can be some self-doubt creeping in, and a close relationship may be strained with old topics re-emerging or a secret affecting you in unexpected ways, for example. Note that insecurities can cloud judgment right now, and they can also interfere with seeing others, or relationships themselves, clearly. 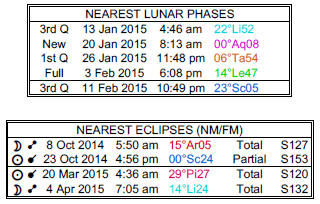 Keep in mind that the Moon is Balsamic, with a New Moon occurring on the 18th. All-new projects are best left for later, as there can be some lack of clarity and confidence experienced now. 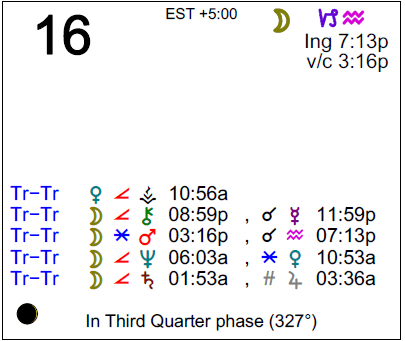 We are dealing with slightly discouraging energy, dear Libra, with a Jupiter-Chiron quincunx, first exact in September, approaching exact again now. This can pull up doubts with your long-term plans, likely due to insecurity about the details and practicality of your goals. If you’ve been taking on too much recently, you might question this now. You are connecting with spirited, interesting people, but you could be doing too much in your eagerness to enjoy and share with people in your life. It’s important now to get rid of excess, which leads to stress. Learn your limits, but avoid losing hope in the process. Today’s energies are fair for home and work endeavors. You’re a little more creative with your work and daily routines these days. Jupiter in your reputation and career sector forms an awkward angle with Chiron in your sector of romance and creativity this week, dear Scorpio. This aspect first appeared in September and comes exact again now. Insecurities can emerge when it comes to creative endeavors, for example, that stop you in your tracks and perhaps have you questioning long-term goals. You could experience a moral dilemma with your work or reputation. Instead of allowing insecurities to drive your actions, aim to learn more about them in order to make important attitude changes, as in just two weeks, Jupiter will be opening up doors for you. You’ll want to feel more purpose and deliberation in what you’re doing, and to be feeling at your best. Today is good for expressing yourself playfully and creatively. Jupiter, your ruler, is in a good position relative to your sign since July, and will continue to support you until August, dear Sagittarius. While this transit is an uplifting one, there are times when Jupiter forms awkward angles to other planets, and complications are possible. This week is one of those times, and you could be hit with a real bout of doubt. There can be guilty feelings if you haven’t paid enough attention to important people in your life. There could be a moral dilemma of sorts to work through. Allow yourself some time to sort things out, as you’ll want to be strong when Jupiter and Uranus once again meet in a harmonious aspect, first exact in September, in just two weeks. 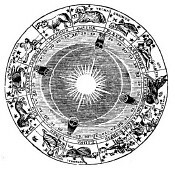 Jupiter and Chiron meet via a quincunx aspect, an influence that began in September, dear Capricorn. Desires run deep, but this week you could be questioning your current path, or you might worry about having paid too much attention to your personal life at the expense of making connections, learning, and other obligations. You might decide that changes are necessary in your outlook or attitude. A partner could mirror your own insecurities. Avoid subconsciously expecting too much from others, or putting all of your eggs into one basket. Try to find a better balance. Today, however, the Moon in your sign connects favorably to Venus and Mars in your communications sector, providing an easy channel or outlet for your emotions. You can be especially persuasive or creative today. With an awkward aspect between Jupiter and Chiron coming to exact this week (it first formed in September), dear Aquarius, there is somewhat confusing and possibly demotivating energy surrounding partnerships, values, resources, and finances right now. If someone feels they’re giving more than they are receiving, or if there are noticeable discrepancies in values and attitudes about money, there can be some tension. Slow down and adjust, as very good energy is with you in two weeks via a Jupiter-Uranus trine, also first forming last September, for turning these things around. The Moon leaves your privacy sector and enters your sign this evening, and this can bring stronger, and possibly urgent, awareness of emotions you’ve set aside in recent days. You can temporarily lose motivation or focus right now, dear Pisces, as the tendency is to second-guess yourself, particularly when it comes to your work or current projects. As a result, it can feel as if you need extra energy to accomplish your routine jobs and tasks. It’s very important to take extra time to realign with what you are looking for – with your overarching goals and plans – as there is excellent energy with you in the coming weeks for taking charge of your life, and especially your daily life and bodily concerns (health matters, work, and so forth). Look out for impractical thinking and too-high expectations now. Doubts may be unfounded, but if there is any truth to your concerns, it’s a good idea to deal with them now. Today, however, there is nice energy for connecting with friends. If Your Birthday is February 16th, If Today is Your Birthday full horoscope here. You can be charming and pleasing in relationships. You like to take the opportunity to be social. Pll -17°58′ MIRZAM To have one’s say. Moon 06° Capricorn 09' 37"